"Because it’s pretty much the same in real life." Yes, because in this case Second Life is real life. Second Life servers (just like web servers) send information to specialized viewers (just like web browsers) that are controlled by the user, not the content provider. Anyone who has ever copied an image or text off a website without permission (or cut and pasted the text of a news story instead of using the news site's email facility) has done exactly what content thieves do in Second Life. Indeed, SL imitates RL in every way, even the bad stuff. Army, thanks for a thoughtful post. I dunno though... the situation was already out of control due to copybotters. Did your research indicate that matters really have worsened considerably thanks to other viewers? VLife, Neil Life viewers aren't used that much, are they? I haven't had time to track this. Do we have stats? By the way, what viewer do you use? I'm already addicted to the Emerald viewer. It would pain me to give it up. I don't have any evidence things are better or worse, other than the chatter I've heard lately. Nevertheless, there seems to be more copy "automation" emerging recently with BuilderBot, etc. I use Emerald, as it has a couple of useful features, and I haven't used the "regular" viewer for several months now. However, I am really looking forward to the SL Viewer 2.0, which we saw at SLCC. It should greatly simplify life, erm second life. It's impossible for Linden Labs to stop not authorized viewers to connect. They could make a try they could maybe stop most of the "nice" once today. As linden lab doesn't own or can control the computer you sit at, It can't stop you form installing a program on your computer. The only think linden labs server can do is to ask you if you have a "key" so connect. As anyone can get this key. By downloading the official viewer they can't stop people from replying with the key. They could add system to hide the key, letting you get a digital haystack and the key being something small and clever in this haystack. This only work until someone figures out where the key is hidden. Then if to stop people all need to update there viewer. This is an expensive arms race. It's much more expensive on linden labs and the regular second life users that on the copybotters. Sadly some i.m.h.o. loud mouthed "creators" keep calming and hoping there most be a way to make a key you can use with out being able to look at it and copy it. It have been tried by many more resource strong companies that linden labs, most of the movie, music and computer program industry. They have failed, because there is no solutions. The original copybot was made before the viewer or it's protocol was open. The solutions have to be down the legal path, and it's not with out very much work. It's not a sl only issue but involves co much more outside sl. We can hope the path towards this keep some kind of justice and fair trials. I hard numbers i think from New Zeeland about 50% of the court cases for there DMCA law was false. We hear all the time of SL creators being locked out for DMCA clames of other creators. and the DMCA cases failing. That was an interesting post, thanks! Thanks to Balp too, for reminding that the original copybot was made before the viewer was open sourced. It's quite possible to sniff out the textures and vectors from the datastream going to client without even touching a line of code in the actual client. Saying that all this is "because of the opensource client.." is misleading. Easier because of that yes. But not "because". Copybot actually first came into existence before SL client was open sourced. It was a fun little tool based of reverse engineered code of the closed source client. One possible solution... something like OnLive (http://news.bbc.co.uk/1/hi/7962180.stm) reduce what is actually sent to the client machine right down to a video stream. Take as much content as possible to server side rendering much like scripts are currently. Of course, That would mean a huge increase in what is actually needed to be dealt with in terms of server side power, you'd more than likely see subscriptions increase as LL would have to seriously upgrade all their servers. You may see lower avatar caps per region. I personally think that as computer power increases that this may become a standard in MMO's suddenly you don't need a decent machine to be able to deal with such things. You just need something able to stream video. iPhones and similar, old laptops (like my trusty 900mhz P3), hell even your tv. Point taken, Talia - open source did not cause the problem, it merely provided an easier approach that has been capitalized by those with less technical capability. As for streaming, that might actually work, given sufficient server power & network bandwidth. Any solution that sends object descriptions and textures to the client is bound to be compromised sooner or later. The SL protocol itself is totally insecure and replayable. It's really quite easy to intercept and reconstruct objects anywhere on the network between the server and viewer. Closing the viewer source or complaining about viewers is largely irrelevant unless the protocol is secured. Streaming is unlikely for any MMO where you'd like the controls to respond in less than 100ms (and that's very optimistic) Which is to say, all of them. 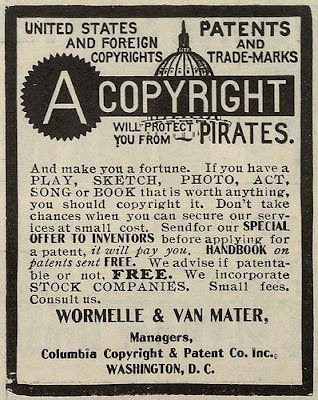 Enforcement of "permissions" will always only be a partial solution to copyright enforcement. I don't think the video streaming will be possible. At least not in a world shared by users around the world. This is for the time it takes form a data signal to travel around the world. The time added for a mouse moment would be in the range of a half second. Given the rendering computer is quick enough. Have you ever tried to use remote desktop or vnc over a network especially a high latency one like a wireless one. It all barks down to if you can see it you can copy it. The solutions have to be in the lines of not making the copying worth the trouble. This path contains many cooperating solutions. From making people aware on what they hurt when they copy stuff. And it's not just the creator off the item they copy, it's also competitors to the item they copy. This is really visible in the computer program field. Even to the extent that the one being copied maybe even earn so much on the copies that hurting the competitions that they shouldn't try to stop copyright crimes. For example if all hobby creators and photo editors have got GIMP that they could afford, it been plausible thet Photoshop lost much of it's market on pro photoshoping just because new artists been used to using the GIMP tool. Personally I think GIMP and Photoshop both have there strong and weak sides. GIMP is like a 1000 times better than photoshop-elements. In the end it's just one small think that keeps me coming back to photoshop, liquify is so much better that iWrap.